The huge collection of templates allows you to make professional-looking collages, photo albums and scrapbooks in the blink of an eye. 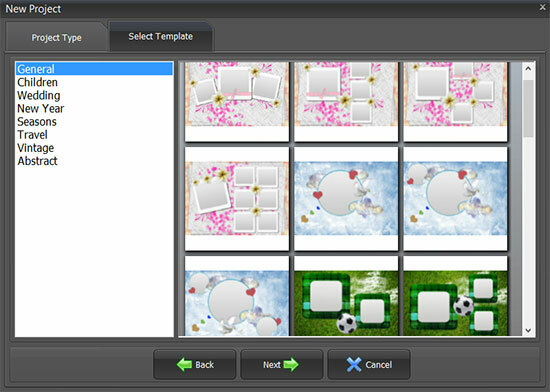 There are 350+ high resolution templates in the PRO version of Photo Collage Maker. 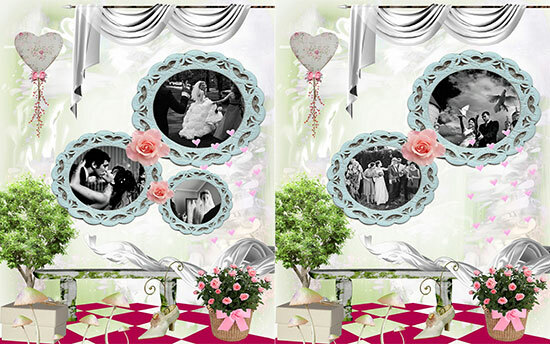 The templates are divided into themed groups, such as Wedding, Children, Seasons, Travel, New Year, Vintage etc. In every group you will find templates in various styles, from never-fading classic to bright and funky. There are templates for one, two, and several photos - that's very convenient if you are making a photo book! 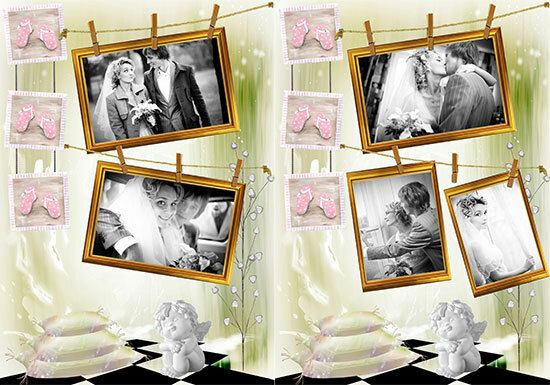 The thoughtful design includes the page background, the picture frames and clipart objects. Every template is easy to customize: resize and position the photos as you like, change the background image, add or remove clipart, play with picture frames and masks. You can even add your own designs to the templates gallery.